AUI2016 was held on October 20, 2016, (just after UIST 2016) in the University of Tokyo. 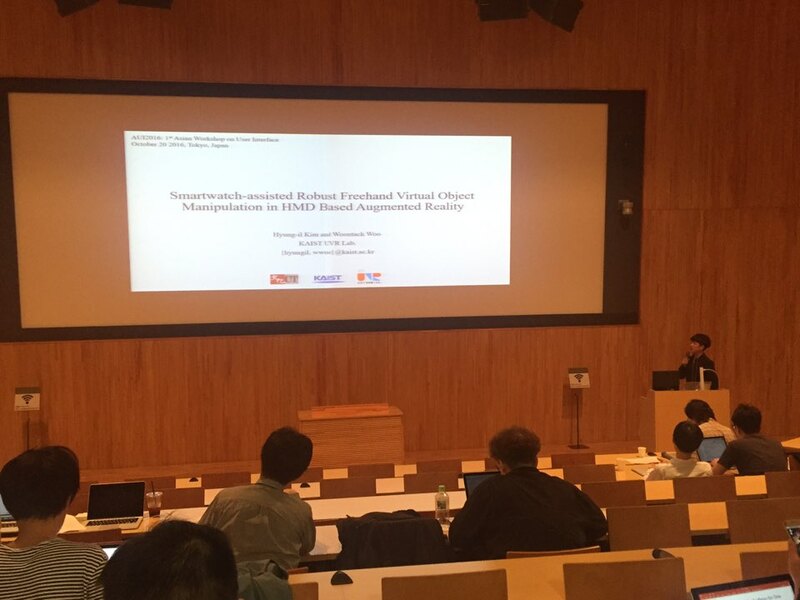 Hyung-Il Kim, Juyoung Lee, Hayun Kim, and Jae-Eun Shin gave oral presentations. 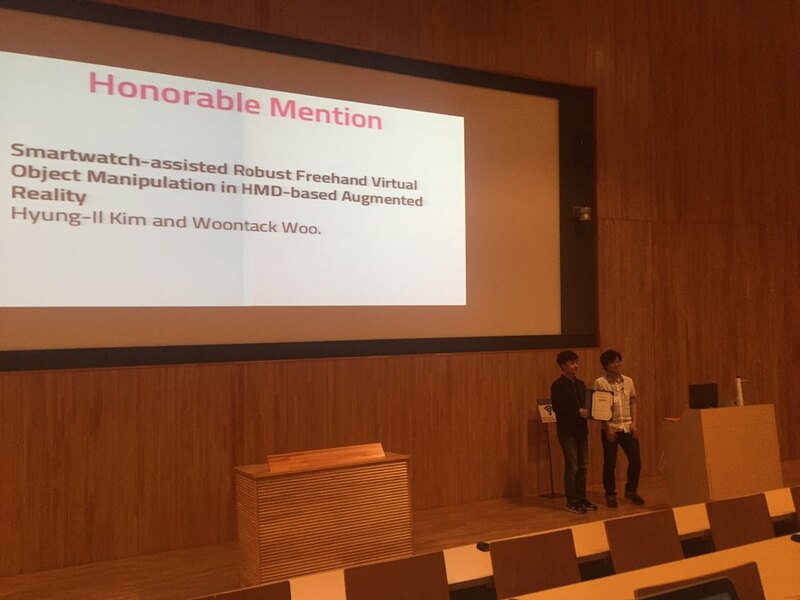 Especially Hyung-Il Kim was awarded the Honorable Mention.